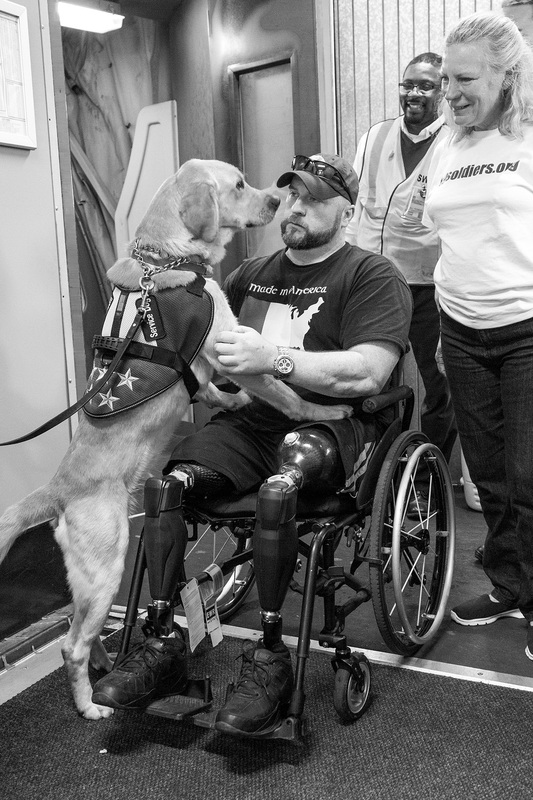 Chris Powell, a retired US Army Special Forces Ranger (Green Beret) meets his service dog Zule for the first time. Zule was specifically trained to assist Powell's unique needs by the Non-Profit, The Argos Project. Newark Airport, New Jersey. May, 2015.